If you're one of those people who can't live without their cup of coffee in the morning then consider growing and producing your own. Easy to process and relatively problem free the Arabica thrives in the cooler climate and rich volcanic soil of Australia. 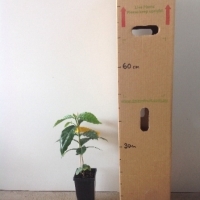 In as little as three years the coffee tree will be covered with white, jasmine-scented flower clusters. The masses of green berries that follow mature to a beautiful cherry-red making this an inspirational and decorative addition to any garden. Ideal as an indoor, ornamental or hedging plant. 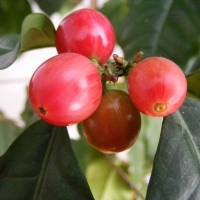 Weed Warning: The Coffee Tree is a highly attractive small tree very well suited to the subtropical and tropical regions. 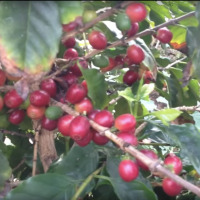 The layer of seedlings underneath any coffee tree is a clear indication of its germination potential and the bright red sweet coffee berries are a delight for the birds. The bulging coffee industry in Northern NSW has caused some alarm about the potential for this fruit to be a damaging weed in the future. 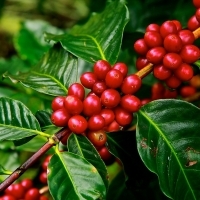 Should you seek to grow your own coffee, we recommend netting the tree and removing the tree is you cease to harvest the berries.